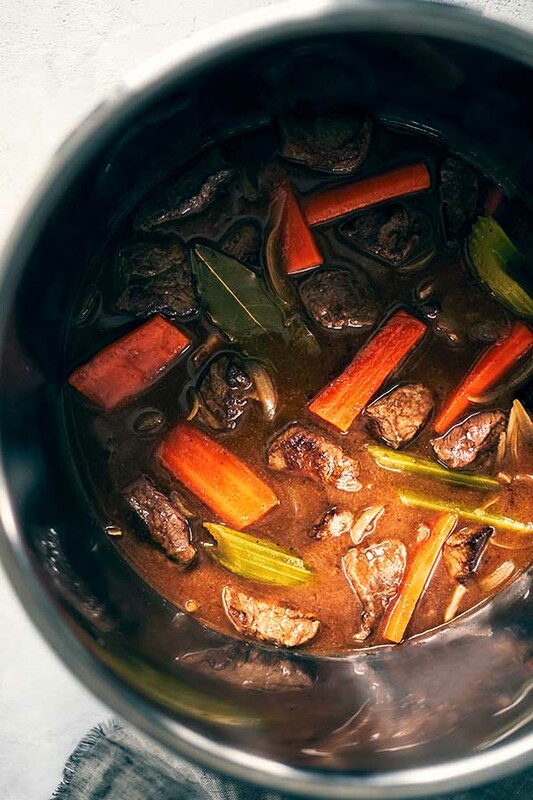 Thank goodness for this Instant Pot beef stew recipe! 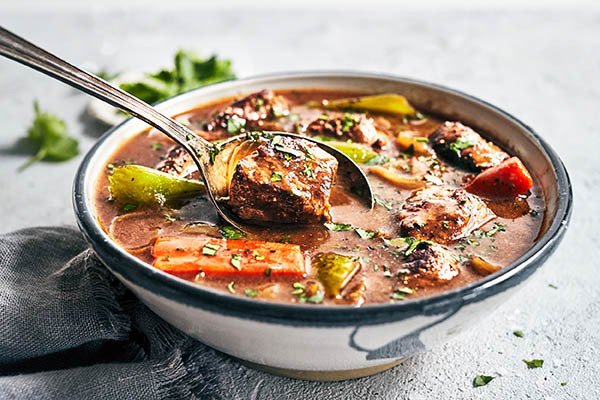 A traditional beef stew, with fall-apart tender beef, silky vegetables, and rich broth, is almost impossible to pull off on a weeknight. 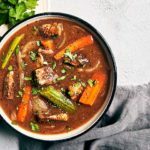 It can take two to three hours of slow simmering for the tough cubes of stew meat to begin to soften, and for complex flavors to develop in the broth. 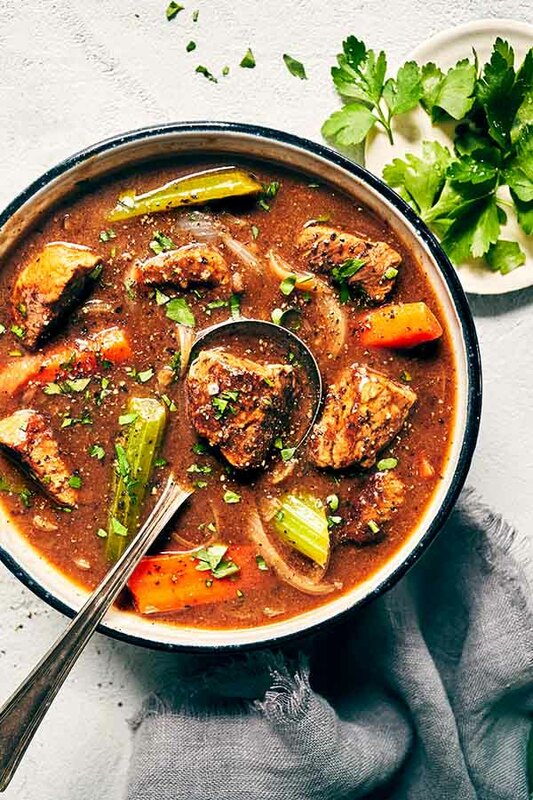 That’s fine – and oh so rewarding – if you’ve got the time, but this Instant Pot beef stew recipe takes stew from a special-occasion weekend dinner to totally doable on a weeknight. A great dinner option. Add an FFC for lunch.